Mr Glatt is a Partner at Searchlight Capital Partners, overseeing the firm’s North American efforts in the Technology, Media and Telecommunications (“TMT”) sectors. 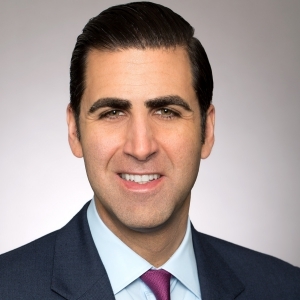 Prior to joining Searchlight in 2013, Mr. Glatt worked as a Partner in the Private Equity Group at Apollo Management, L.P., where he focused on both equity and credit investing in a range of industries that included TMT, Consumer, Leisure and Shipping, among others. Mr. Glatt also held positions at Apax Partners and The Cypress Group. He started his career at Bear Stearns in 1998 in New York. Mr. Glatt is a member of the Boards of Ocean Outdoor, PatientPoint, 160over90, and Rackspace. Mr. Glatt received a BS from The George Washington University, and an MBA from Harvard Business School.